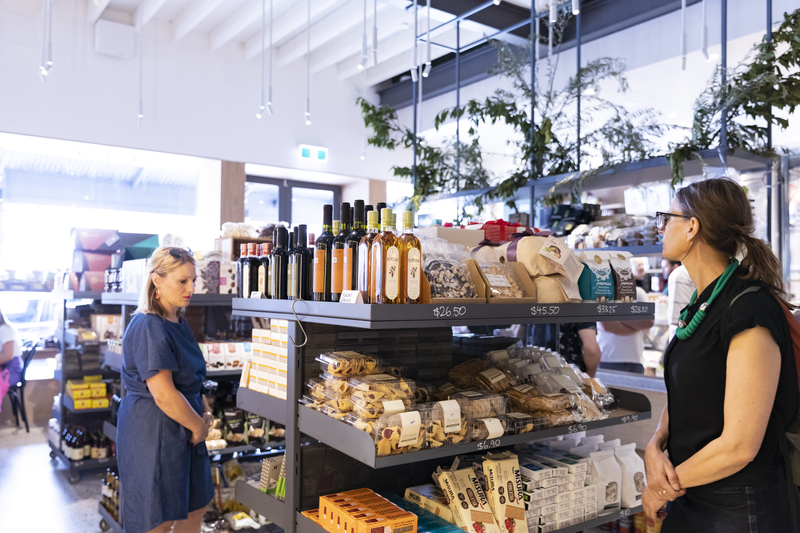 To say that King & Godfree is a part of Melbourne history is a bit of an understatement, given that it’s been operating as a grocery store in Carlton since 1884. The building has been a landmark for generations and has been an Italian staple to the Carlton community ever since Carlo Valmorbida took it over in 1955. After Carlo's death, the Valmorbida family (particularly Carlo's grandchildren) began King & Godfree revamp plans as a tribute to their grandfather. And in December 2014, the launch of Pidapipo marked the first stage of what would become a 3-year construction ordeal. So what can you expect from the famed King & Godfree revamp? A lot. 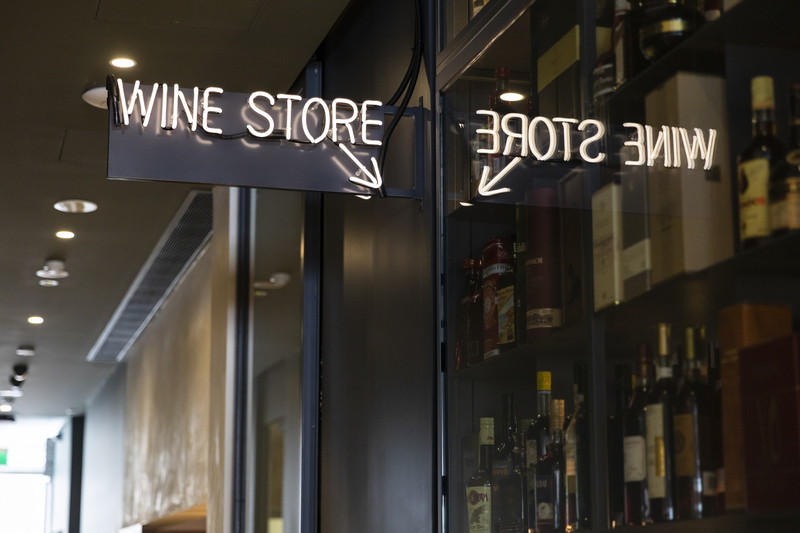 The newly reopened venue is basically 6 venues in one—it is simultaneously a deli, grocer, espresso bar, wine bar and cellar, a gelateria, and a rooftop bar. So let’s start with the Faraday Street end. 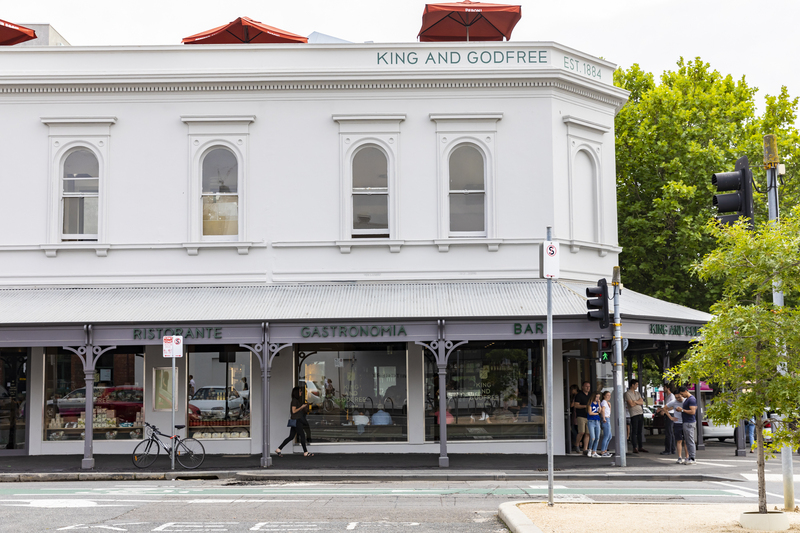 On the corner of Faraday and Lygon are several entrances for the King & Godfree Deli and Espresso Bar. And no matter which door you pick, you will be greeted by a crowd of people chatting, doing their grocery shopping or ordering a snack or coffee. The grocery/deli space is a bit cramped, but don’t let that deter you—its compactness accounts for a lot of its charm. 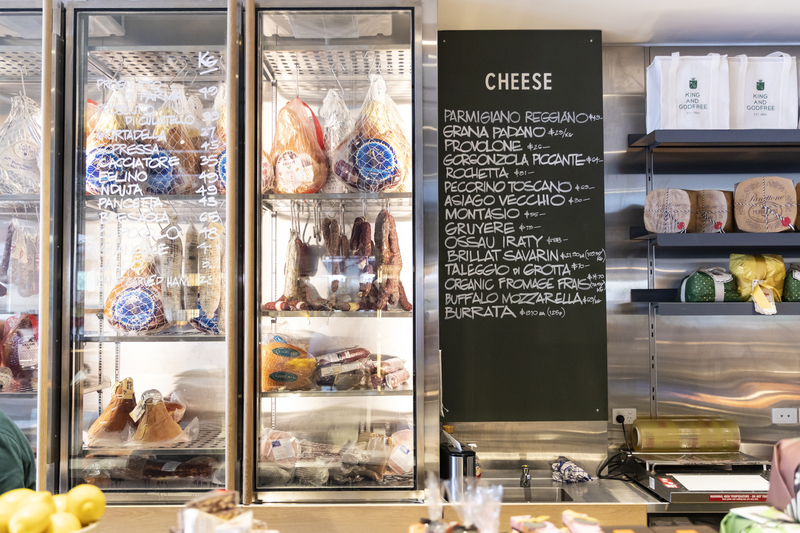 When you walk in from Faraday street, you’re immediately greeted by rows of specialty cheeses, as well as several shelves stocked with about delicious bread, salumi, jarfuls of yummy looking things, and other Italian dry goods. The deli counter is bustling with energy and takeaway food. You can even buy flowers for your nonna while you’re there, so you’ve got no excuse. The K&G Espresso Bar peers out on Lygon St and feels more like a cocktail bar or restaurant when you really look at it. That’s because it also serves up breakfast (the likes of panino with fried egg, pancetta, basil and sugo or scrambled eggs with cured salmon, chives and toast), lunchtime pasta dishes, and a variety of juices and drinks. Not your typical coffee shop fare. Moving toward King & Godfree lane, there’s wine bar Agostino. 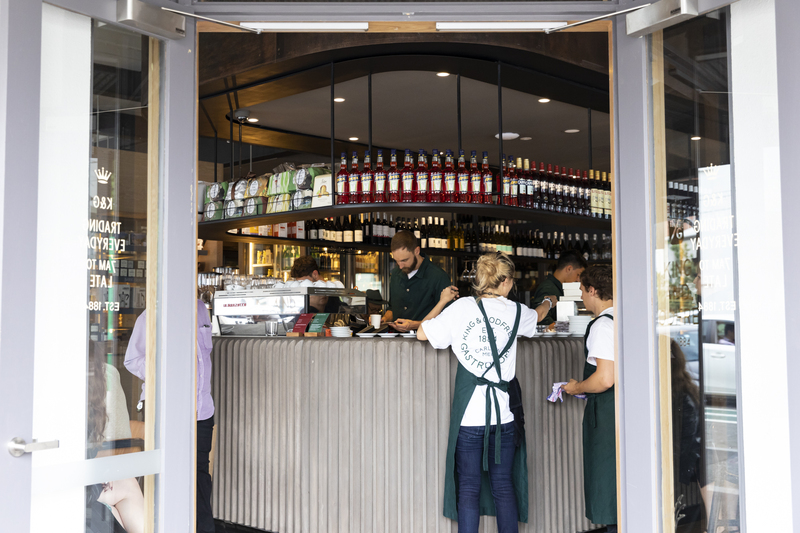 Located between the new K&G and Pidapipo, the bar pays tribute to Carlo Valmorbida’s first grocer in Melbourne’s Swanston Street called Frank Agostino. Seating 50, the wine bar emulates a classic enoteca vibe: dimmed lights, dark furniture, and of course, a sharp menu featuring northern Italian fare. Marinated olives, crudo, oysters, fried stuff, and a few pasta dishes and mains. The 50-bottle wine list also includes rare and fine wines that have been waiting in the cellar for you since King & Godfree closed in 2015. There’s also an impressively long list of cocktails, aperitivi and digestivi, as well as beer if you’re so inclined. Lastly, there’s Johnny’s Green Room, ready to grace Carlton with sunshine and drinks. 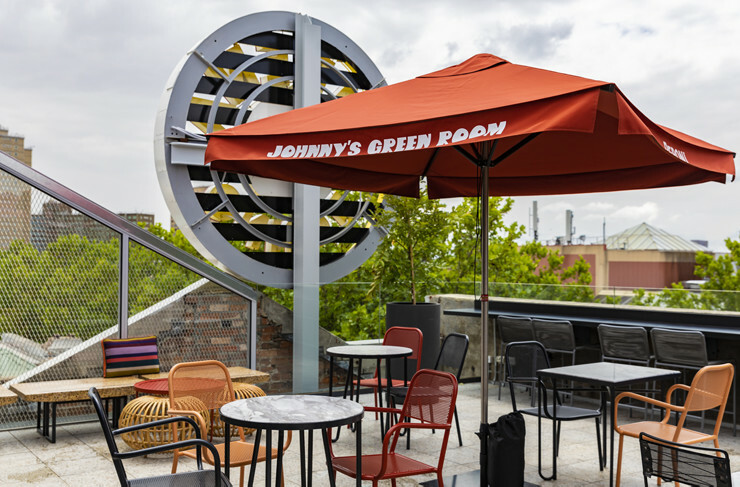 Johnny’s Green Room is the missing Carlton piece that perfectly completes the K&G revamp: a stunning rooftop bar for pre or after-dinner drinks or even a cheeky afternoon snack. Mismatched chairs, great view, and live DJ: what more can you ask for? The refurbished K&G pays homage to its rich history while keeping it fresh and new. So if you thought you were over Carlton, think again.